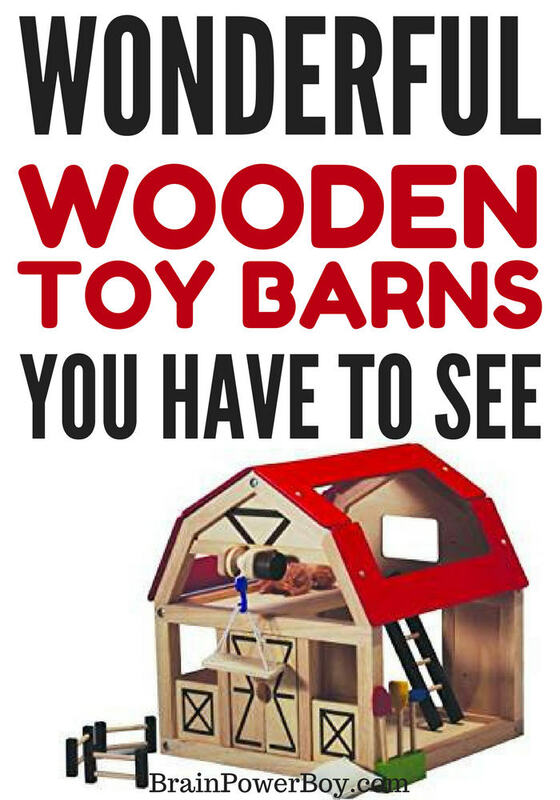 Looking for a wooden toy barn? You have come to the right place. If you have not visited the site before, welcome! If you are a return visitor, thanks for stopping back. 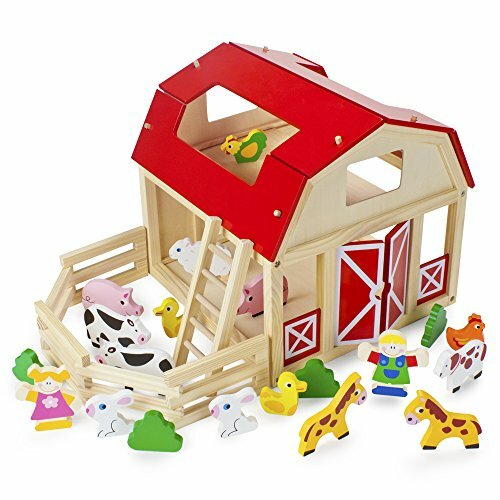 I should tell you that I am super fussy and only pick the best of the best, so rest assured this list is packed with great toy farm barns and they are all made of wood. 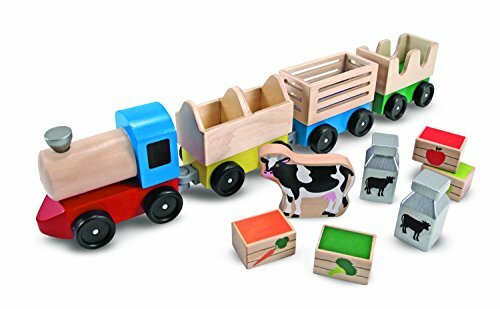 Wooden barns make a great open-ended play toy that will last for generations. They are great to give as a gift and you can be sure they will get played with – a lot! My dad made a wooden barn for my brothers and it is still played with today by the grandchildren! We all have fond memories of playing with the barn. I hope you will find the perfect barn for your family. IN A RUSH? 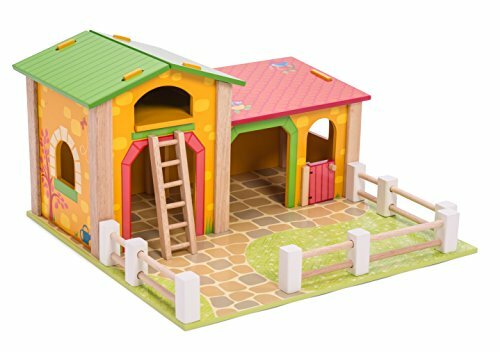 Grab the Best Wooden Toy Barn Right Now! We will start with this high quality, inexpensive option! Melissa and Doug make some great toys and this is no exception. What I love about this one is that it folds open to leave a lot of room at the back and front for play. 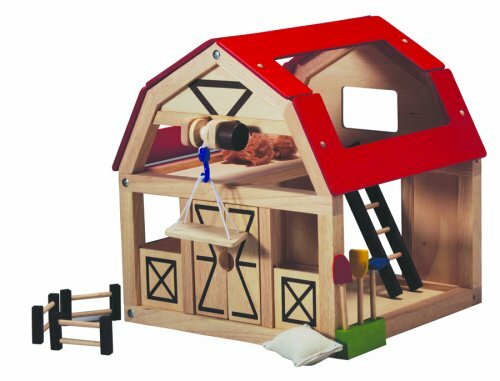 Your little guy will be able to get his hands into this wooden barn very easily. BONUS: it comes with farm animals (plastic) and a wooden fence. Below is another style from Melissa and Doug. Plus some fun accessory picks. How charming! 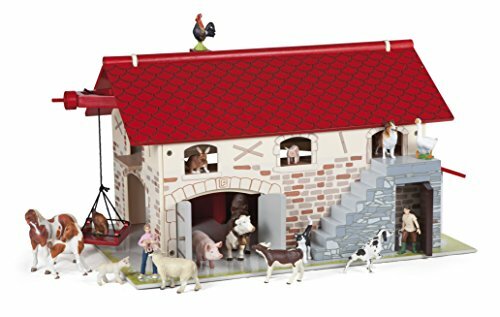 The simple style of the animals is what caught my eye but then the construction and the classic barn made me choose to feature it. Natural, untreated wood is important to some buyers. If that is you, you should most definitely take a look at this barn. Look at all the animals! Worth a look! Not everyone would look at this wooden barn set in France. However, I picked it because it is an unusual and interesting, high quality barn. But mostly because it is perfect for small spaces. 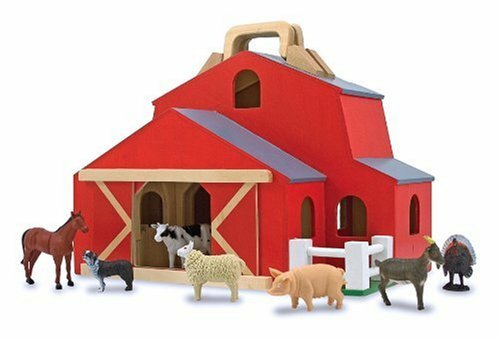 It is painted and features a hay loft, machinery barn, and cow stable. You need to buy animals to go with it or use ones you already have at home. The barn has a hand crank platform and the roof comes off for easier access. That said, it is lovely and well-made. If you don’t mind spending a bit more to outfit it, or already have some animals that will work, it will last for years and years and I would say to go for it. Plan toys is one of my favorite companies for doll houses (see below for doll house article) so when I decided to write about wooden barns, I knew I had to see if they made one. Lucky us! They do!! This wooden barn is top grade. One you can use for generations to come and it comes at a reasonable price for such high quality. My favorite feature of this one is that it is interactive. The hay can be pulled up to the loft with the pulley. The animals set for it is adorable – you can find it here. So many boys just love toy barns and farm animals. 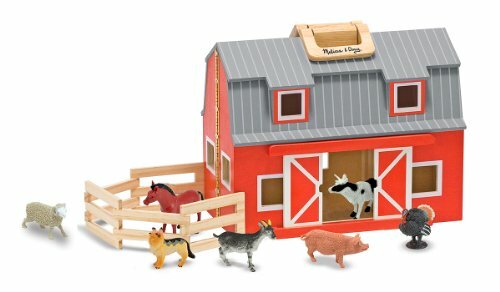 Every wooden toy barn on this list is high quality. These are just perfect for open-ended play and make a great gift. Keep an eye out for an upcoming article on handmade wooden barns. If you are interested in seeing more wooden play options, please check out our dollhouses for boys articles.